When Sandra and I made the decision to move from Colorado to Utah — largely to get closer to family — I consoled myself with the fact that if we were able to find a house to rent in Provo itself, we could sign up for Google Fiber and get 1 gigabit internet service. Sure enough, we did end up renting a house within the Provo city limits, and so I promptly signed up for Google Fiber, getting the full internet+TV package. This was back in April; I was told at that time that installation would begin in mid-July and that my house would be handled sometime between then and the start of September. Since just about the only thing I care about having HD TV for is football, I figured that would be just in time. We’re currently working on construction in Southeast Provo and we plan to begin in-home installations at the end of October. During this time, you may see our Fiber vans in your area, and it will take until the beginning of January to make our way through your entire Fiberhood. We’ll reach out to you when we’re ready to schedule your in-home installation appointment. I signed up for Google Fiber in April, getting the full TV package because I was told installation would occur between mid-July and the end of August — thus, in time for football season (about the only thing I need ‘cable’ TV for). It’s now nearly mid-September, I have no Google Fiber, and the only information I’ve been given is an update telling me that now installation will occur sometime between the end of October and January of next year — up to six months later than I had been originally told. That also pretty much ruins football season. At this point, I’m considering dialing back to a plain internet connection with Google and going with DirecTV for TV services, since I know it won’t take them several more months to install. If that is, in fact, accurate, please let me know so that I can change my Google sign-up, get DirecTV, and then set about letting lots of people know how Google FIber screwed me over. Thanks. ..bruce. We have begun the construction as scheduled and are working hard to get it finished. It takes time and care to build a fiber-optic network from the ground up. Construction and installation can take 4 – 8 months to be completed. . . . We also recommend that you keep your existing service with your current provider until we install Fiber in your home. If you do not have service and need it now, then we suggest you sign up for service with another provider since we can’t get you service until we complete building the network. It’s unclear from the message where that “4 – 8 months” starts from. If it starts from mid-July, then they’re talking about November to March (of 2015) as the completion period. On the other hand, when I sign into the Google Fiber “MyFiber” website, I’m told that construction in my “fiberhood” won’t begin until September 21st; if that’s the start of the 4- to 8-month period, then they’re talking about January to May 2015 as the completion period. In September 2014 (today), I’m told that installation will occur during a 4- to 8-month period, but am not told when that period starts. If it’s mid-July, then I’m looking at installation sometime from November 2014 to March 2015. If it’s late September (as per the Google Fiber website), I’m looking at installation between January 2015 and May 2015. In other words, I might not get Google Fiber until a full year after I originally ordered it. Now, one of my major professional areas of expertise — for which I have done consulting, lecturing, writing, testifying before Congress, and acting as an expert witness in civil litigation — is how IT projects go bad. This series of slips is a classic pattern and not a very promising one. 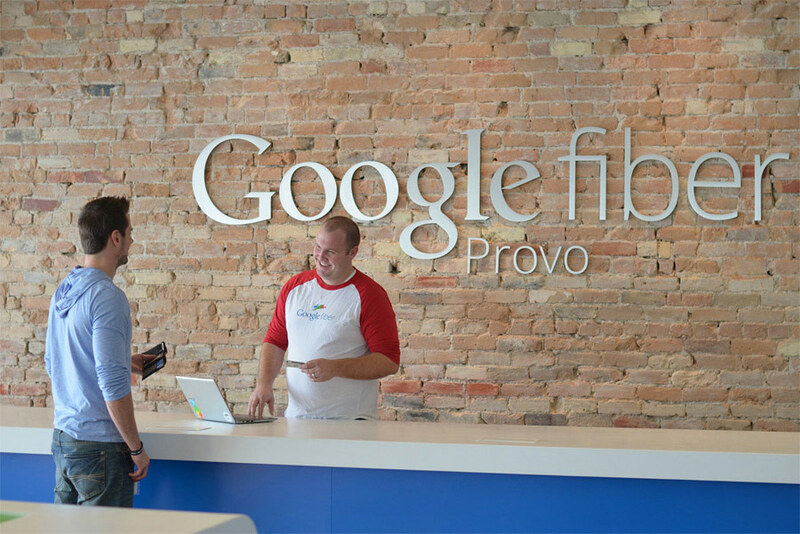 Anyone else who is waiting for Google Fiber, either here in Provo or in one of the planned future cities, needs to understand that it may come much, much later than planned. After I’m done with this post, I’m calling DirecTV. Well, I called DirecTV. They’ll be out this Wednesday, four days after I placed the order. A lot better than 7 to 13 months. ..bruce..